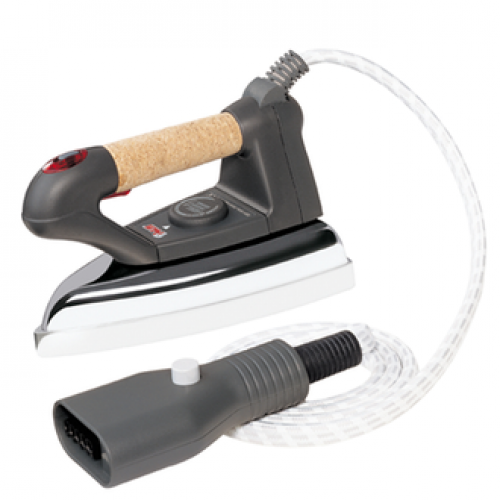 The accessory iron turns Vaporetto into a highly effective ironing system, to iron in less time and with less effort. Thanks to the power of steam, one passage is enough to gently smooth fibres and the toughest wrinkles. It is great even for the most delicate fabrics. Can be used upright to refresh and iron curtains, coats, jackets, removing bad smells. With thermostat for temperature adjustment.